If losing builds character, then the state of Wisconsin must have a whole lot of character today. For on Saturday night the Ohio State Buckeyes really trounced our Wisconsin Badgers in the Big Ten Championship game. I was fortunate (or unfortunate, depending on your point of view) to be able to attend the game with my family. Despite the 59-0 loss, it was a fun and exciting weekend. 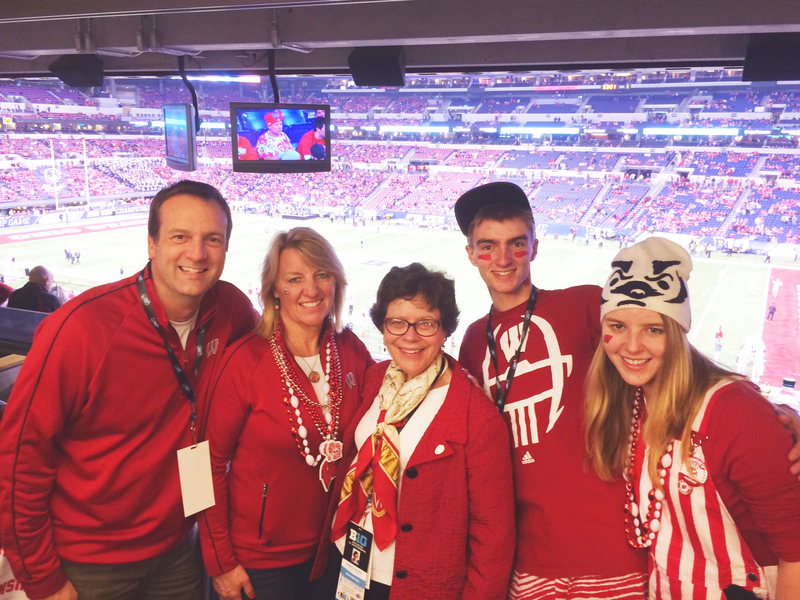 We were lucky enough to meet University of Wisconsin Chancellor Rebecca Blank and have our picture taken with her. And the folks in Indianapolis are always warm and welcoming. A loss of this magnitude makes you take a step back and consider what it all means. In business, just as in sports, there are setbacks. Decisions don’t work out the way you planned. Investments don’t pan out as hoped. And it might be a cliché, but it’s a cliché because it’s true: When faced with setbacks, the only appropriate course of action is to pick yourself up, dust yourself off, and get ready for the next contest. The Badgers have three weeks to get ready for their next opponent, and face off against Auburn University in the Outback Bowl on January 1, 2015. Hopefully, they will right their ship in the meantime, with a victory that helps rinse that awful taste of the Ohio State loss out of their mouths. That’s the lesson for all of us. There is always another game. Another chance to prove yourself and succeed. You can’t let one bad game defeat you. Get up, dust off, and stand firm, ready to attack the next opportunity.